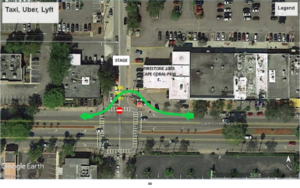 As Southwest Florida’s largest city is gearing up for a New Years Eve celebration, we have some information to help you navigate around the construction at Cape Coral’s Streetscape Project. The event will be happening on Southeast 47th Terrace in Cape Coral, which is the same road the project is on. The construction and road closures will effect travel around the area. For the most part, people will be maneuvering around the orange traffic cones and piles of dirt. There is free event parking at the Winn-Dixie, Big John’s Plaza and Iguana Mia. Also there are two public lots right across from each other on SE 10th Place. If you want to avoid the construction all together, there is a designated spot for Uber, Lyft and family or friends to come pick you up at 1003 Cape Coral Parkway E.